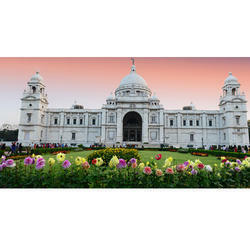 Our product range includes a wide range of victoria memorial holiday package and marble palace holiday package. Kolkata (also known as Calcutta) is the capital of the Istate of West Bengal. Located on the east bank of the River Hooghly, it is the principal commercial, cultural, and educational centre of East India, while theÂ Port of Kolkata is India's oldest operating port as well as its sole major riverine port. Writer's Building It was designed by Thomas Lyon in 1780 and received an impressive Corinthian facade in 1889. It originally served as the office of the British East India Company. 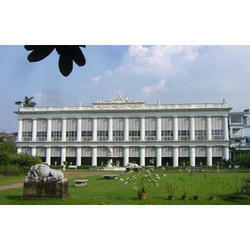 Now, it serves as the Secretariat of the Government of West Bengal. Botanical Gardens At 9kms from Kolkata, on the west bank of the River Ganges, the botanical cover an area of approximatel 273 acres. Laid out in the year 1787, the Indian Botanical Garden is one of the oldest and largest botanical gardens of India. It contains about 12,000 living perennial plants and millions of dried out plants gathered from all over the world. The 250-year-old Banyan tree with more than 2,800 prop roots is the main attraction. Park Street Mother Teresa Sarani, formerly Park Street and still often called by that name, was originally named Burial Ground Road on account of the South Park Street Cemetery which has cenotaphs and tombs of prominent figures from the British Raj era and Kolkata's Armenian population. It has been the recreation zone for Kolkata people since the British era, with many restaurants and pubs. It is often known as "Food Street" and "The Street that Never Sleeps".